Today’s date is 3-22 and 22 is considered a mastery number. May you find a day of mastery with wisdom, laughter, compassion, fun and LOVE! This time of year there is a lot of excitement around ‘March Madness’. Referring to the agony and the ecstasy of basketball tournaments, some teams achieve grand history and some have their hearts broken. The month of March has seen a great deal of madness throughout history, not of the basketball variety. 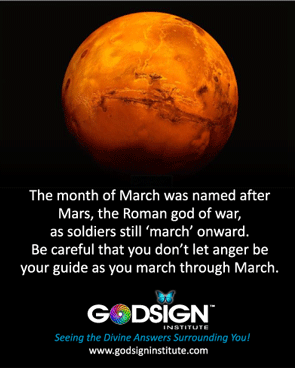 March is named after the God of War – Mars. 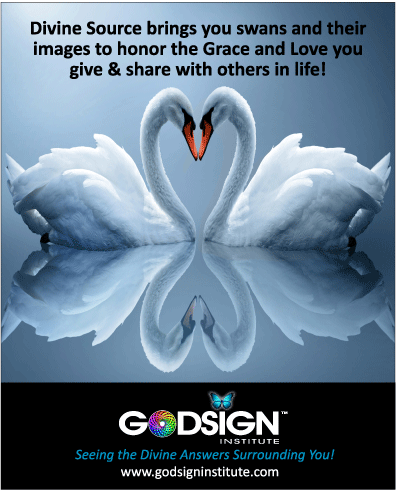 If you ‘like’ the Godsign Institute on Facebook or Instagram you know that we send out Godsign messages every couple of days or so. They are always sent with Love and Light and a hope you see all the Signs from Creator around you. While most of our postings are VERY, VERY POSITIVE, some can also be rather pragmatic . . . and just to help you be more aware of the space you are living in at particular time. On the 13th of March this was sent out to all our followers . . . The 15th of March, two days later, is known as the ‘Ides of March’ and became famous in Roman history. It was marked by several Spring religious observances and was notable for the Romans as a deadline for settling debts. In 44 BC, it became notorious as the date of the assassination of Julius Caesar, the Roman Emperor, which made the Ides of March a turning point in Roman history. Fast forward to 1599 AD and Shakespeare makes it infamous all over again in The Tragedy of Julius Caesar. Beware, the Ides of March . . . This year, the Ides of March became a turning point in New Zealand’s history. First there is the MADNESS. Fifty fellow human beings; sons, daughters, husbands, wives, parents, grandparents, were all gunned down in the Al Noor Mosque, in Christchurch New Zealand, for praying and being Muslim. 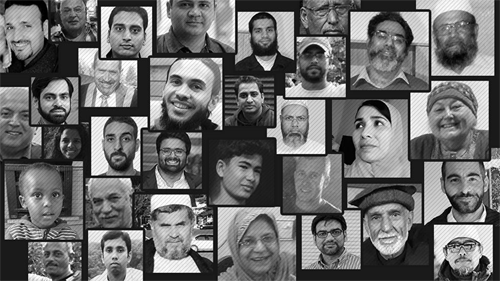 This collage is just a small few of the 50 irreplaceable, awesome and UNIQUE people who lost their lives to the MADNESS OF HATE and Automatic weapons. And of all places . . . in Christchurch . . . Christ’s Church. There are sooooooo many of us that realize we never leave Church. Whether it be Christ’s church, or Mohammad’s Mosque, a Saint John’s Sanctuary or Moses’ Synagogue, an Angel or Prophet’s Temple . . . The Sacred Guardians will all tell you Sacred Church/Mosque/Synagogue is right where you now stand. Wherever that may be, you are already IN CHURCH – in a Sacred Space. But not enough people know that yet. Mix PURE HATE in a person and PURE EVIL with a weapon and what do you get? Here’s some sanity in the madness. Within 6 days of the horrific, gut-wrenching, life altering madness, New Zealanders reached for sanity. New Zealand’s government, within 6 DAYS of the mass killings BANNED AUTO AND SEMI AUTOMATIC WEAPONS. And the ammunition that goes along with the human killing machines. It has now been over 6 years since the ABSOLUTE MADNESS at Sandy Hook, which took place two weeks before Christmas in 2012. It has been 20 years, since the MADNESS in April of 1999 at Columbine. Still, we in the United States have not even started to reach for sanity. All our victims still die in vain. Those in New Zealand – WITHIN 6 DAYS – DO NOT! Many in our country for the next few weeks will become almost obsessed with March Madness, the games, wins, losses . . . balls in hoops. Our children, all the young people involved in all the basketball games, the players, cheerleaders, band members . . . all continue to be in real danger of the REAL MADNESS. It will go on and happen again here. You can count on it, the same way many can count every year on the Basketball Bracket pools in offices all over the US. I only wish we gave our attention and energy to what really matters rather then who ends up in a Final Four. Until we start to acknowledge the MADNESS and ADDICTION of it . . . and begin to give a 10th of the energy spent on rooting for favorite teams in basketball brackets to making our kids, community and our country safe from the MADMEN with WEAPONS of MADNESS, it will continue. Please say some prayers right now and send BIG LOVE to all those effected by terrible gun violence. May God, Allah, Muhammed, Moses, Jesus and all the Sacred Guardians Bless and sustain all New Zealanders and particularly all the victim’s families and loved ones. Lāmīyat al-‘Ajam is an original poem in praise of the Prophet composed by British scholar and founder of Cambridge Muslim College, Shaykh Abdal Hakim Murad. 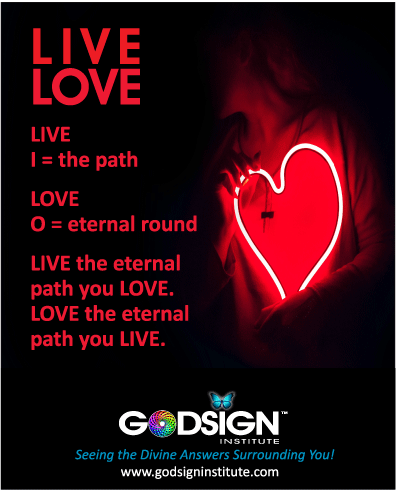 Please like The Godsign Institute on Facebook and Instagram and share us with others to get Uplifting messages every week like the ones below! In March and April the Spirit Salon is exploring how to Divine Magic in Divination Cards. Whether you are new to card divination or a practiced veteran, this class is for anyone wishing a deeper connection to the Divine in Divination Cards using Angel, Oracle, Animal and Tarot cards. 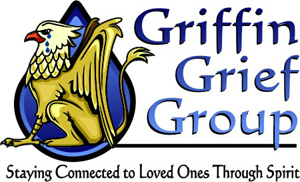 Perhaps you have never used divination cards and have been looking for a safe place to learn. You may have enjoyed working with divination cards for years and would like a deeper understanding of the cards you currently use. Perhaps you want to learn a new deck. Annie leads a series of divination card classes to help you develop a deeper understanding of the Divine Magic found in any form of divination cards. Extra card decks will be provided but also please bring any divination deck you wish to know better. You DO NOT have to attend all classes.